The following call comes from Rethink Rebuild Society, voice of the Syrian Community of Manchester. 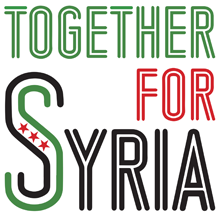 Given that a UK vote on Syria is anticipated to be within a month, we need everyone’s support to amplify the message that SYRIA NEEDS A NO-BOMBING ZONE! Please write to your MP by clicking on the link below and copying and pasting the following text into the relevant area. Then kindly share with all your contacts on social media! 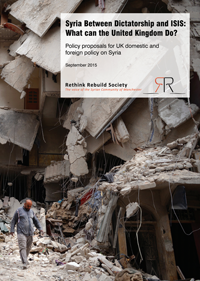 As your constituent, I would like to ask you to attend the Parliamentary launch of the report “Syria Between Dictatorship and ISIS: What can the United Kingdom Do?” produced by Rethink Rebuild Society, a Manchester-based Syrian advocacy and community organisation. 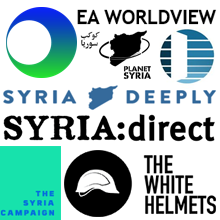 The report has been endorsed by Syrian groups across the county and is presented as a comprehensive plan of action for the UK to help end the conflict in Syria. It frames the current debate with views on potential UK air strikes in Syria, how to deal with ISIS and Assad as well as the UK refugee policy. Please contact Amina Lone at Jeff.Smith.mp@parliament.uk should you have any questions. 6. Implementation of a no-bombing zone would not require pre-emptively striking inside Syria which would risk the lives of British military personnel. Rather, it could be enforced from ships in the Mediterranean which would only execute strictly limited strikes if aircraft violate the prohibited ban on bombing. This sea-based option requires very limited military intervention.